Drum Corps International is pleased to expand its offering of Video Performance Downloads (VPD) -- high-quality video downloads which is the newest way to own classic drum corps performances. Just added to the collection, which debuted in July of 2007 with the 35 World Championship winning performances from 1974-2005, are the top three performances of World Class corps from 1974-1989. "We're excited to expand this collection which was launched this past summer in honor of Drum Corps International's 35th Anniversary," said DCI Merchandise Manager Ric Oberlin. "Some of the greatest drum corps performances of all time come from the top three corps of the 70s and 80s, and now they return for fans to own in an easy to access downloadable format." 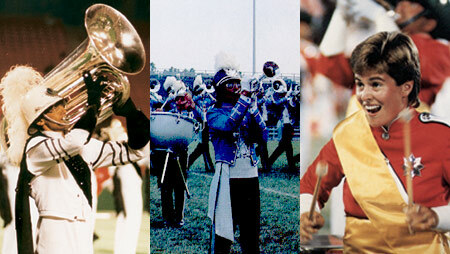 1987 Santa Clara Vanguard are among recently released VPDs. Made specifically to watch on your computer, VPDs can be easily transferred to a Video iPod or Apple TV. Available as Quicktime/M4V files, VPDs can be viewed on your computer in native 640x480 screen resolution and played on your computer through Quicktime or iTunes applications. Each download costs $5.49 or $4.49 DCI.org's Fan Network Platinum Members. "This is just the beginning of a rollout of many new VPDs," said Oberlin. "Fans also can look forward to releases of "top three" performances from the 90s and 2000s later this fall." Purchase VPDs today.